Control the chaos with a single point of entry for all loan information. We know you are frustrated with too many systems, too many spreadsheets, and the inability to find what you need, when you need it. 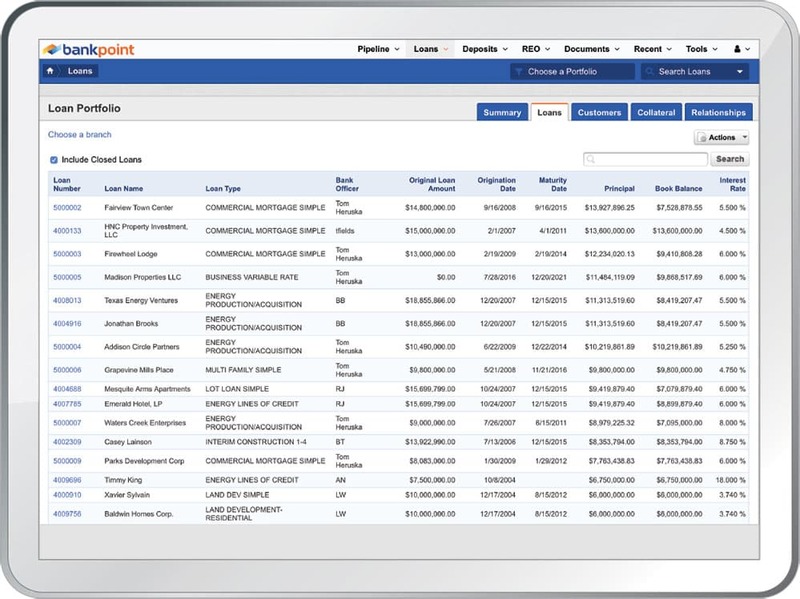 BankPoint brings it all together using a beautiful, intuitive interface, and provides a daily snapshot of your entire portfolio or specific loans. BankPoint eliminates the hunt for data, allowing you to easily see the banker-friendly data you care about most.